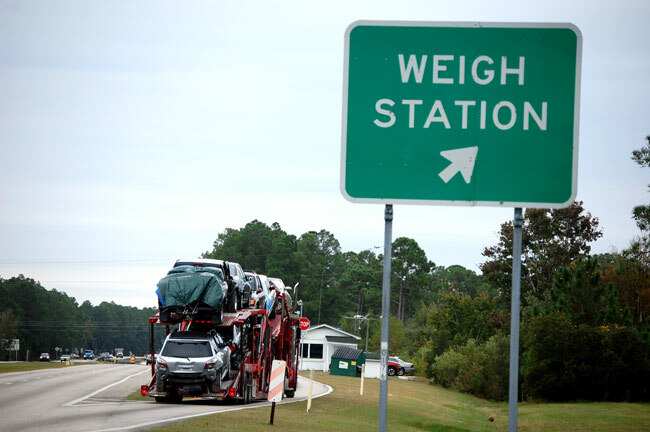 A truck weigh station plays a vital role when it comes to inspecting vehicular weights. The inspections are carried out for a wide variety of reasons. The stations rely on specially designed scales, which measure the mass of cargo transported by road. They measure both laden and empty vehicles. The systems can be used to monitor compliance with the traffic requirements of axle and wheel load of vehicles. The trucks can be weighed in motion or static. Automobile scales can be used in various industries, including metallurgy mining, fuel and energy and construction. Systems of automated control of material flows are designed and implemented to support the weighing functions. In many countries, road traffic management officials deploy weigh-in-motion (WIM) units in combination with cameras that license plate recognition systems. These are dynamic axle load measuring systems whose data is transmitted to a central control location for verification or to a mobile checkpoint mounted by traffic police. The weighing points are an instrument for reducing overloaded trucks. It is estimated that approximately 10 percent of trucks with one or more axles drive with higher than legally permitted loads. The weighing point is visible to road users due to the installed axle load sensors in the asphalt. Some roads and traffic agencies opt for sensors made of quartz. When a wheel passes a sensor, the pressure is exerted on the sensor resulting in an electrical signal that is used as a measure of the wheel pressure. Transport inspectorates rely on this information to detect and fine offenders. The sensors have the capacity to vehicle speed, length, and type (truck with trailer and more) can be registered based on the measured number of axles and the axle length. It is possible to calibrate the system based on the mass of a truck without a trailer. A truck weigh station can be positioned along freeways, on a customs entry point or at points close to city limits. Some truck weighing scales composed of removable and transportable components are mobile. In commercial applications, they evaluate the weight of goods or the tare of a vehicle and the management of active sites is done on-site or remotely. To measure the mass, various strain gauges are used. Information from the load is transmitted through a cable that goes to the electronic weighing unit (usually connected to a microcontroller), which not only provides the output of measurements to the indicator but also calibrates the balance. It can also support the interface with a personal computer. Scales are installed on a special concrete or reinforced concrete foundation. The foundation can be located under platforms. The entrance of transport to the scales is carried out on ramps, made of metal, concrete or combined materials. Road plates are used for mounting the scales, which are laid directly on the ground or on a sand and gravel pillow. With this method of installation, a foundation is not required.